This morning, we are sharing the books of the Almana series in our book spotlight. 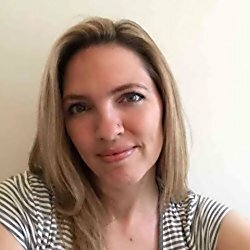 Check out this young adult, fantasy series, learn about the author & enter for a chance to win a prize in the book tour giveaway at the end of this post! Hidden deep inside the forest, a community of people have created a safe haven despite the terror that lies not far from their border walls. World War III has destroyed most of the world population, and the ruthless dictator, Equis, is quickly gaining control over the majority of the U.S. population. Heaven has turned its back on humanity; the angels have deserted their posts and are awaiting the end - all but one. Through visions, Almana comes to believe that one last chance for the world’s redemption lies in a girl who lives in this small community. The only problem is the future of seventeen-year-old Alexa is grim, but without her, the end is imminent. Though Almana will be banished from her home until the world’s last day, she chooses to join Alexa in hopes of not only saving humanity, but heaven as well. 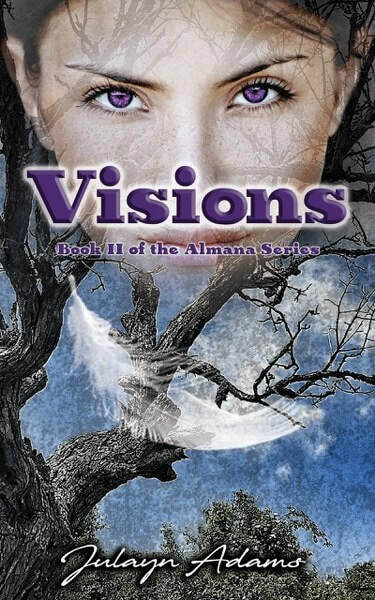 Bound by a supernatural connection with Alexa and her family, Almana is gifted a new home. And despite the inability of angels being able to fall in love, Almana finds herself in a dilemma she hadn’t expected. A story of friendship, romance, love, betrayal, hate, hope, and despair, Almana is the first of a three-part series. "Wow! This story hooked me from page one! A heavenly, heartbreaking and heartwarming tale full of believable characters you'll love, and love to hate. I literally could not put it down! I believe I have found my next "must read" author!" "I think that writing good quality fiction for this audience is one of hardest genres a writer can enter and of the many books I have read, few do it well enough to have broader appeal. Almana does. It is a beautifully crafted story which employs none of the more obvious routes generally taken by post-apocalyptic fiction. Although the main character, Almana, is an angel, the story deals with her as an ordinary teenager coming to terms with a new life. The world created by Julayn Adams skillfully combines fantasy, the challenges and adventures of creating a future, adding elements of danger and violence without ever becoming predictable. In short this is a very entertaining tale for any age." "A beautiful story of a very human angel on a mission and a girl who is destined to save the world. It is a story of love and duty, of good and evil, of war and the battle for peace. Beautifully written, this story is addictive and compelling." "Julayn writes eloquently and her descriptions are so visual that you can picture them in your mind. I particularly love the parts of the novel when it focuses on Almana's inner thoughts and loneliness…The author makes these aspects of Almana's loneliness so real that I wonder if she knows something about the unseen world that we don't. What a great surprising read." In a world full of violence and hatred, Alexa still believes in hope. She is the reason Almana left heaven to risk everything, including her own immortal soul. But when Almana returns from the abyss with visions of an impending attack on their community, Alexa’s plans to unite with neighboring camps must be expedited. As racism and the brutal effects of the war live on, threatening to infiltrate their newly merged faction, Almana fights the demons plaguing her mind and her heart. 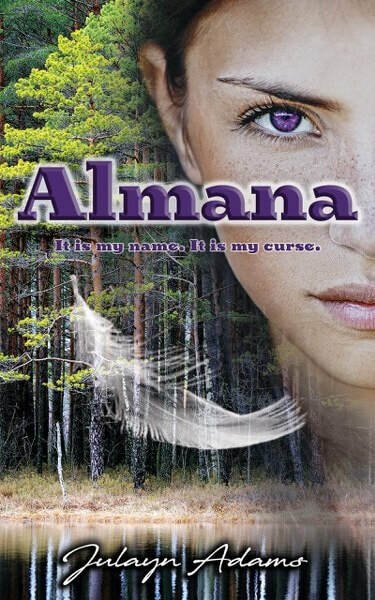 "I read and loved Almana, the first book in this series and was waiting eagerly for the sequel. And this book, wow! Beautifully written, thrilling, heart-breaking and heart warming, this is a brilliant story. One that makes you think. This series is one everyone needs to read as it tackles sensitively and with heart some of the issues tearing the world apart today. A timely and though-provoking book. An amazing story, masterfully told. LOVE this amazing series and very highly recommend it." Renita D'Silva "A Mother's Secret"
"I found myself turning page after page, desperate to know how Ali would handle things and what would happen next. Congratulations to the author. This is a story for teens or adults that will take you into a war-torn world where the battle for good must always prevail. Or does it"
Sherry Mayes "Stop the World"
With four fabulous children and two equally fabulous step-daughters, Julayn Adams has been likened to the little old lady who lives in a shoe, minus the old part, of course. She and her husband, along with their kids and the laziest cat in the world, Triscuit, reside in Melbourne, Australia after having moved from the United States. Julayn has enjoyed working in a variety of professions including sonography, preschool teaching, and professional princess (true story). Having now turned her passion for writing into a career, she enjoys her days reading and writing in the Australian sun. Julayn’s first published work is a picture book illustrated by her son, Gavin, entitled "My Brother’s Name is Masen": a true story about Gavin’s relationship with his autistic brother. Now, with books I and II of the Almana Series published, she looks forward to the release of Almana’s final chapter, "Insurgence", in late 2018.